Used Audi Q5 Review - 2008-2017 Servicing, MPG, Insurance | What Car? What used Audi Q5 4x4 will I get for my budget? The Audi Q5 wears miles well, so it’s not uncommon to see examples offered for sale with 200,000 miles or more on the clock, for which you’ll pay as little as £6000. Realistically, however, you’ll want a car that costs closer to £8000 and has covered fewer than 100,000 miles. 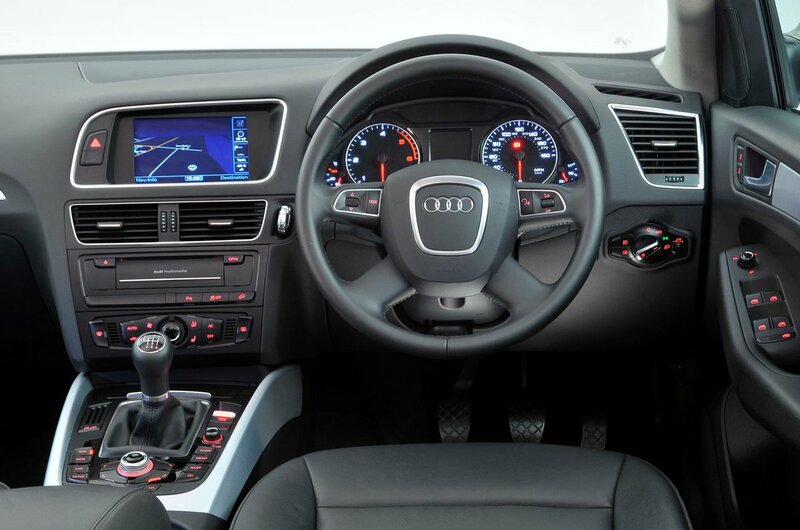 The 2.0-litre TDI diesel was originally available with 141bhp or 168bhp, plus there was a 237bhp 3.0-litre V6. The 2012 facelift resulted in power outputs from the 2.0 increasing to 148bhp and 175bhp, while the 3.0’s output increased to 242bhp. Prices for post-facelift diesel models start at about £11,000. As with the diesel, the 2.0-litre petrol was available with different power outputs: 176bhp to 208bhp for a pre-facelift car, and as much as 223bhp for a post-2012 model, which was also offered with a normal Tiptronic automatic gearbox rather the dual-clutch S tronic unit. At the same time, the 266bhp 3.2-litre V6 was replaced with a supercharged 3.0-litre V6 with 268bhp and better fuel consumption. Those after even more power from their Q5 should be more than satisfied with the 310bhp from the V6 twin-turbocharged diesel SQ5, for which prices start at around £18,000. 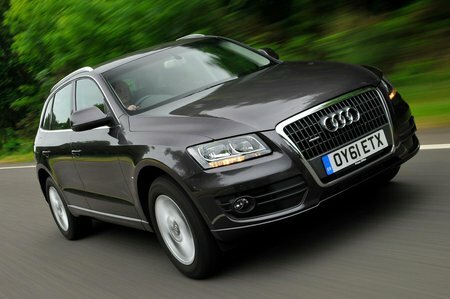 How much does it cost to run a Audi Q5 4x4? For a sizeable SUV with good performance and four-wheel drive, running costs are not as exorbitant as you might expect. With the 2.0-litre TDI engine, the Q5 managed 42.1mpg in official EU fuel tests, which improved to 45.6mpg after the introduction of stop-start technology across the range in 2012. In normal driving, this equates to 35-40mpg, while the 3.0-litre V6 will deliver 30-37mpg. The 2.0-litre petrol Q5 is thirstier still: don’t expect much more than 30mpg in normal driving, placing it just ahead of the V6 petrol engines. Annual road tax ranges from £150 for the post-2012 facelift 2.0 TDI to up to £305 or a V6 petrol, which is competitive for this type of car, particularly considering there’s no front-wheel-drive version. Servicing is required every 12 months or 10,000 miles, and Audi’s fixed price servicing represents good value, with prices starting from £164 for a minor service on a 2.0-litre Q5. Of course, there are plenty of specialists outside of the main dealer network who will service an elderly Q5 for you, often at cheaper rates.